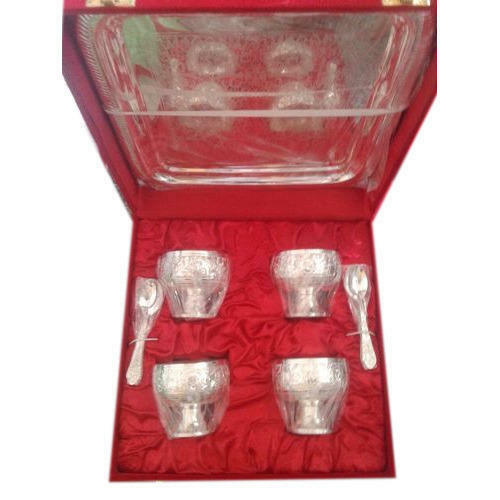 Fostered with a team of highly experienced professionals, we have been able to provide Silver Plated Brass Glass Set. Established in the year 1990 at Moradabad, (Uttar Pradesh, India), we “Al Faiz Metals” are a Sole Proprietorship Firm, known as the reputed trader and wholesaler of premium quality Brass Products, Silver Plated Brass Products and Vintage Iron Clock. Under the direction of our mentor “Aiyaz Uddin (Owner)” we have been able to meet specific demands of our clients.